Advantage Health Centers (AHC), a Detroit-based Federally Qualified Health Center (FQHC), today announced Nina Abubakari as executive director. Abubakari was formerly the interim executive director of AHC and served on the board. In her new role she will be responsible for managing and growing the organization’s presence, participation, and patient-base throughout metro Detroit. Prior to AHC, Abubakari served as the managing partner of Fern Health Solutions. 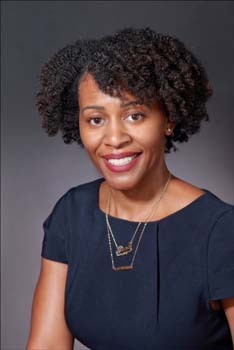 Her former roles also include serving as the director of Quality Improvement for Sinai-Grace Hospital of the Detroit Medical Center Health System. Abubakari received her Juris Doctorate from Wayne State University’s Law School, a Master of Business Administration Finance from Wayne State University, a Master of Public Health, Epidemiology from the University of Minnesota School of Public Health, and a Bachelor of Science in Biology and Women’s Studies from the University of Michigan. Abubakari is also a fellow of the American College of Healthcare Executives. She is an adjunct professor at the University of Detroit Mercy in health economics, health care law and regulations, and health in the community. She is also an adjunct professor at Wayne County Community College where she teaches introduction to biology and human ecology. She is also a member of the American Bar Association, American College of Healthcare Executives, and the local chapter of Midwest Health Executives Group and Associates. Abubakari resides in Detroit.